The new assembly of non-marvel super heroes ready to save the world. The latest DC film, Justice League surprises the audience with an actual decent film. After the death of Superman in Batman v. Superman, Batman reunites with an old ally, Wonder Woman, to go against the enemy Steppenwolf, who wants to recreate Earth into his old homeland. Both Wonder Woman and Batman decides to build a team-which included The Flash, Cyborg, Aquaman, and Superman- to end Steppenwolf’s plan before the Earth is gone. Justice League is overfilled with amazings stars to play these iconic superheroes. Such as Ben Affleck, Gal Gadot, Henry Cavill, Jason Momoa, Ezra Miller, Ray Fisher, and many more. Without the skills of each actor and actress the film would have not been as good as it was. The characters in the movie each had their moment on screen which just made the audience fall in love with them even more. Also, the movie created a fantastic fight scene that left people stunned, especially the Amazons’ scene and the Atlanteans’ scene. In addition, the final scene with all six heroes kept the audience out of their seats. Even though Justice League had its moments, it also had its downfalls. Aquaman only had a few lines and he was lacking in character. The Flash is supposedly in his late 20’s, yet he acts like a child who is just a fireball of uncontrolled energy. Cyborg would of have these upgrades overnight, and it wasn’t important to the plot. Both Wonder Woman and Batman were so serious that it sometimes made it boring when they were on screen. Even the famous Superman was raised from the dead, the movie made it appear to be nothing special. Also, Superman reuniting with Lois Lane to regain his memories seemed as if it was just a filler to expand the time of the movie. Although, they have lightened up the cinema’s scenes, they still seemed dark and hard to see at times. The film, Justice League, was the best production that the D.C. Comics industry has ever made. 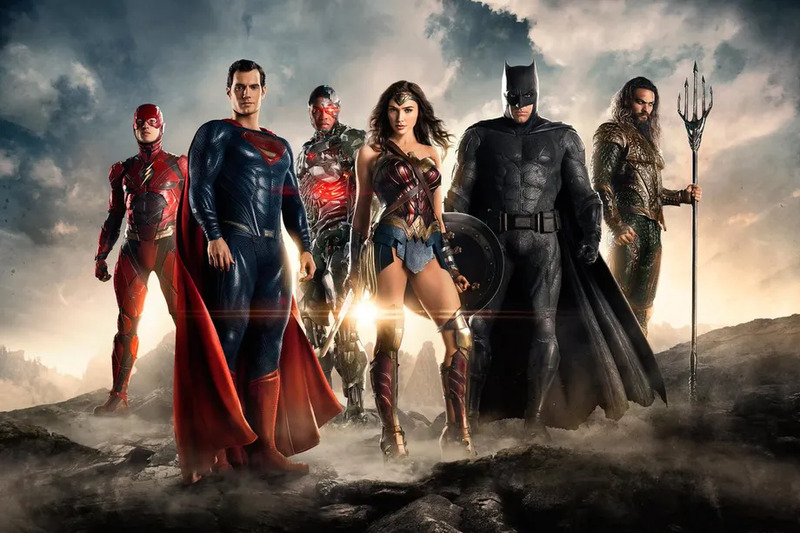 There were a few errors, but they did have some moments where it could be considered good.Justice League surprised the audience by being better than expected, but will still be considered an average movie compared to other superhero films that the movie industry have produced.